As the occupiers, recallers, and other malcontents are about to learn, the mostly invincible incumbents who occupy our legislatures are largely deaf, dumb, and blind to their supplications. As a veteran of multiple failed attempts to alter the electoral status quo, I feel equipped to offer several warnings and a little helpful advice. The first warning is that enormous power has devolved on legislative leaders. The political parties, since they lost the power to recruit, slate, fund and manage campaigns, are noisy paper tigers. The tea party types and possibly the occupiers (if they get serious about acquiring power) could do some of this, but for the most part the legislative leaders are filling the pipeline. Are they filling it with rambunctious, aggressive, creative talents? They are not. They want lemmings. Empty suits. Followers. To a very large extent they seem to have gotten what they want in our state. This means that anyone who wants something the legislative leaders do not want has his or her work cut out for him or her. The legislative leaders think they know where they got their power and are not going to do anything to annoy those to whom they are beholden for their power and prestige. The legislative leaders reject changes that remove some of the threats to their well-being more or less routinely. They know how they got where they are and will rebuff any ideas that threaten their routes to power. They are beholden to the status quo generally. More specifically they are beholden to anyone or any organization that is or are organized to deliver money to their campaigns and campaign organizations or that threaten their incumbencies in other ways. Examples of the latter are organizations like the NRA (the National Rifle Association) and AARP (the American Association of Retired Persons). For reasons that befuddle me, these organizations, which do not contribute money or associate with either political party, almost always get their way. I concede that the golden oldies are not as formidable as they were once, but the NRA rules everywhere but in Illinois of all places. Money suppliers are revered, respected and protected, which is understandable in a money-driven political system. This seems to be inevitable. It is not always reprehensible. Where money goes astray is when it is connected to ideology. The most egregious are the single-issue organizations that want their contributions to be unfettered and anonymous. One of the electoral reform ideas that everyone once respected and even urged, and that an otherwise deaf, dumb, and blind U.S. Supreme Court has approved and even recommended, is the disclosure of the names of contributors to organizations that participate alongside candidates’ campaigns in supporting or opposing candidacies. It is no secret that the Wisconsin Right to Life organization has told its supporters on both sides of the aisle that disclosure of contributors would dry up the organization’s funding. Is that why a Democratic Assembly Speaker trashed a disclosure bill and why a Republican Assembly Speaker has said he will refuse to consider one? I’ll listen to a better reason if anyone has one. Since secret contributors fund organizations on the anarchistic right and the socialistic left which interfere with and hijack campaigns without compunction, one would think that the candidates in those campaigns would want to know who their real enemies (the contributors) are so they could mount specific counterattacks. One would be wrong. Money is golden. Secret money is whatever is more precious than gold. The malcontents are about to learn that unless they or their goals come to the battle armed with large amounts of money, or their followers are disciplined, predictable lock step voters who can be relied on to turn out on election day, they are going to get what those of us who have been trying to clean up and reform campaign spending for years have received. Should We Continue to Elect or Should We Consider Appointing State Supreme Court Justices? 1. 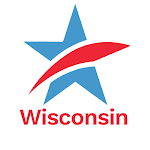 This past Monday evening more than 200 citizens in Oshkosh attended another Common Cause in Wisconsin forum entitled "What Ever Happened to Good Government in Wisconsin -- and How Can We Fix it?" Just two weeks before the Oshkosh forum a capacity crowd of 160 attended a similar forum in Wausau. Clearly there is great hunger throughout the state for reforming Wisconsin's current political system that has been denigrated and assaulted in the last year in particular. In 2011, Governor Scott Walker and his legislative allies totally wiped out Wisconsin's once effective public financing system -- including the less-than-two-year-old Impartial Justice Law which had set spending limits and eliminated troubling and conflicting private campaign contributions to candidates for the Wisconsin Supreme Court. They blocked a rule that would have required outside special interest groups to disclose the donors supplying the tens of millions of dollars of special interest group spending that dominated the Supreme Court election last spring and the State Senate Recall elections last summer -- and which will flow again in the upcoming Recall election of Walker later this fall, winter and spring. They imposed on Wisconsin the most extreme and restrictive Voter Photo ID law in the entire United States -- more restrictive than Alabama, Mississippi, Georgia and South Carolina! And they have done more damage to Wisconsin's Open Meetings Law, installed political appointments in the top rungs of the Executive Branch, tried to eviscerate the power of the independent Government Accountability Board (more on that below) and more. The citizens of Oshkosh on November 7th (and in Wausau on October 24th) were clearly concerned. The three legislators who participated in the panel in Oshkosh were visibly surprised by the huge turnout and interest in these issues. The panelists included CC/WI Director Jay Heck, Democratic State Senator Jessica King, Democratic State Representative Gordon Hintz and Republican State Representative Richard Spanbauer. Also on the panel were former Republican Assembly candidate Jonathan Krause and UW-Oshkosh Professors Tony Palmeri (communications) and Jim Simmons (political science). Jim Fitizhenry, the managing editor of the Oshkosh Northwestern moderated the discussion. There were many questions and comments from the audience which consisted of citizens of all ages from UW-Oshkosh and from Oshkosh and many surrounding communities. For coverage of the forum go here and here and here. To watch the Oshkosh forum in its entirety, see Wisconsin Eye's coverage of the event here. 2. Since the beginning of the year, Governor Scott Walker and the Fitzgerald brothers have attempted to weaken state agency rule-making authority and legislative oversight of those agencies. They have passed a law giving the Governor veto authority over administrative rules promulgated by state agencies - a function that formerly had been the exclusive province of the Legislature and -- in particular -- the Joint Committee for the Review of Administrative Rules (JCRAR). In 2010, JCRAR did not object to a rule promulgated by the independent Government Accountability Board (GAB) that required outside special interest groups to disclose their donors for widely-disseminated communications intended to influence the outcome of an election and made 60 days or less before an election. This common sense rule was blocked by the Wisconsin Supreme Court in August of 2010 and then totally eliminated earlier this year by a JCRAR under new leadership -- State Senator Leah Vukmir (R-Wauwatosa) and Rep. Jim Ott (R-Mequon) in collusion with the Walker Administration. The GAB was established in 2007 and was devised to be independent and non-partisan by its architect -- State Senator Michael Ellis (R-Neenah) together with CC/WI, which led the effort to get it considered and passed in the Legislature. But that independence is under assault. Read this excellent editorial from Tuesday's Wisconsin State Journal which calls for the passage and enactment into law legislation that would provide the GAB with a greater measure of independence - Assembly Bill 355, introduced by State Representative Gary Hebl (D-Sun Prairie) and State Senator Fred Risser (D-Madison). Call your legislators and urge them to support this important legislation. Yesterday, the GAB acted very courageously and voted unanimously to reverse a previous position they had taken. The GAB now says that Wisconsin Techincal College identification cards should be an accepted form of photo ID that can be shown at the polls. They also now say that stickers can be put on existing student ID cards at Wisconsin's colleges and universities to satisfy a ridiculous new expiration date requirement included in the new and horrific Voter Photo ID Law. For more on this development go here. 3. In the wake of last spring's $6 million vicious election for the Wisconsin State Supreme Court -- and with the repeal by Governor Walker and state legislative Republicans of the Impartial Justice Law which provided public financing and spending limits for State Supreme Court elections -- are elections for the Wisconsin Supreme Court still viable and tenable? Or should Wisconsin look at a merit selection process for Supreme Court Justices like many other states, including Iowa and Missouri have? Or should there be a hybrid of the two very different systems? CC/WI Director Jay Heck was a panelist at a Milwaukee forum recently that considered this question. Former State Supreme Court candidate (1997) Walt Kelly was also on the panel that appeared on Wisconsin Public Television. You can view the forum here. Let us know what you think! Wisconsin has experienced unprecedented political turmoil and upheaval in 2011. The state once known as the “laboratory for democracy” has undergone tumultuous change in the way it will conduct elections and consider public policy in the future. And the core political fabric of Wisconsin – once heralded as a national model – has been dramatically transformed this year. Are these changes detrimental to our state’s political process or were they needed and will they improve it? Prior to 2011, public financing of statewide and legislative elections, including state supreme court races, helped ensure that our legislators and our state’s highest court were beholden to the public rather than to powerful special interest groups with deep pockets for the financing of their campaigns. Wisconsin was one of the first states in the nation to implement a public financing system back in 1977. In a stunning move, Governor Scott Walker and his legislative allies gutted the state’s public financing system by raiding its funding source in order to help pay for implementation of the new Photo Voter ID law. The new “Impartial Justice” Law that provided full public financing to state supreme court candidates, who agreed to abide by spending limits of $400,000, was repealed after less than two years of its enactment. On May 25th, Governor Scott Walker signed the Photo Voter Photo ID Bill into law— transforming Wisconsin from one of the easiest states in the country in which to cast a ballot to the most restrictive state in the nation in which to vote. Proponents of this new law insist that its objective is to prevent voter fraud. But was voter fraud really a problem in Wisconsin? Or, was the real goal of this measure to decrease voter turnout -- currently the second highest in the nation? These and other campaign and election reform issues are more important than ever as we deal with the continuing fallout of the U.S. Supreme Court’s decision in Citizens United vs Federal Election Commission— a decision that, among other things, allows corporations, labor unions and other interest groups to use unlimited money from their general treasury coffers to run outside communications, providing these entities with far greater influence on the outcome of elections at both the federal and state levels. And the citizens of Wisconsin are still in the dark about who is really behind this flood of “outside” campaign spending and the constant barrage of interest group “phony issue ads” we see during the election season. Is this lack of disclosure "free speech" or is it a perversion of democracy? How will the Citizens United decision affect Wisconsin and does it matter? How can we find out who is really behind those vicious attack ads and is it important that we know? Will the new Photo Voter ID law prevent voter fraud? Or will it disenfranchise students, urban dwellers, minority groups, the elderly and disabled -- and ultimately depress voter turnout in Wisconsin? And should redistricting be taken out of the hands of partisan legislators and put into the hands of a non-partisan entity to draw congressional and legislative districts as required by law every ten years? And How Can We Fix It?" Jim Fitzhenry - Managing Editor of the Oshkosh Northwestern - will serve as Moderator. Ohio Voters Repeal Anti-Union Law. Will Wis. Gov. Walker Be Next? While the Governor and the Legislature are in Madison putting the finishing touches on passing legislation to reform -- or deform -- Wisconsin on issues ranging from money in elections to voting rights, the real discussion and work on these issues occurs in communities throughout the state with the citizens who must bear the real-life consequences of the lawmakers' actions or inaction. Common Cause in Wisconsin has been traveling around the Badger state for years to get the word out about the need for political reform. We do not just "preach to the choir" of people who already agree with us, but rather try to engage with citizens and legislators of all points of view to make our case. 1. This past Monday evening, CC/WI organized another public forum -- this time in Wausau -- in a long sequence of similar events over the past five years entitled "What Ever Happened to Good Government in Wisconsin -- And How Can We Fix it?" More than 150 citizens attended the forum at the University of Wisconsin - Marathon County and panelists included State Representative Donna Seidel (D-Wausau), former State Senator Walter John Chilsen (R-Wausau), Kevin Hermening, the former Chair of the Marathon County Republican Party and legislative candidate, UW-Marathon County Political Science Professor Eric Giordano and CC/WI Director Jay Heck. The panel discussion and lively audience participation was moderated by Rob Mentzer, the editorial page editor of the Wausau Daily Herald. The Herald also ran this article in the form of questions of and answers from Jay Heck about political reform issues. and this editorial about the forum. 2. Tomorrow, Thursday - October 27th, Jay Heck will be in Milwaukee as part of a panel to discuss whether or not it is time to replace elections for the Wisconsin Supreme Court with a merit selection process in the wake of three very nasty and expensive state supreme court elections in the last five years. The event is free and open to the public and more details can be found here (Scroll down to October 27th program). 3. On Monday evening, November 7th, another CC/WI forum is scheduled at the University of Wisconsin at Oshkosh with a program similar to the Wausau gathering. In addition to Jay Heck, panelists will include newly elected State Senator Jessica King (D-Oshkosh), State Representative Richard Spanbauer (R-Oshkosh), State Representative Gordon Hintz (D-Oshkosh), UW-Oshkosh Communications Professor Tony Palmeri and UW-Oshkosh Political Science Professor James Simmons. More details can be found here. Turn out and attend the nearest CC/WI reform gathering of your choice and make your voice heard! "What Ever Happened to Good Government in Wisconsin? and CC/WI Executive Director Jay Heck. 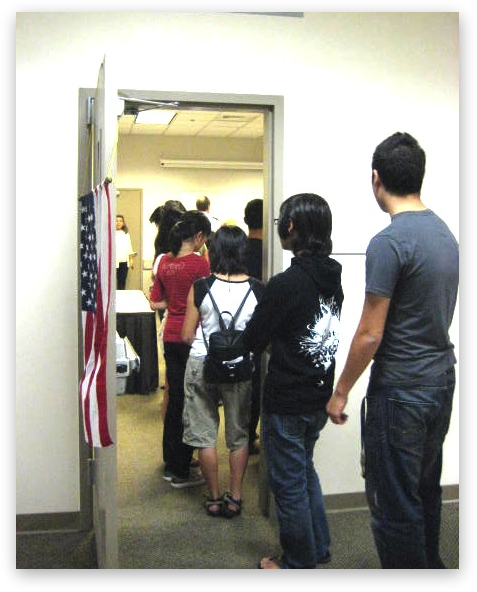 Will the new Voter Photo ID suppress voter fraud or voters? Should we elect or appoint Wisconsin's Supreme Court Justices? Redistricting reform in Wisconsin – how do we do it? How will the U.S. Supreme Court decision on Citizens United vs F.E.C affect Wisconsin? Wisconsin has undergone unprecedented political turmoil and upheaval in 2011. The state once known as the “laboratory for democracy” has undergone tumultuous change in the way it will conduct elections and consider public policy in the future. And the core political fabric of Wisconsin – once heralded as a national model – has been dramatically transformed this year. Prior to 2011, public financing of statewide and legislative elections, including state supreme court races, helped to ensure that our legislators and our state’s highest court were beholden to the public rather than to powerful special interest groups with deep pockets for the financing of their campaigns. Wisconsin was one of the first states in the nation to implement a public financing system back in 1977. In a stunning move, Governor Scott Walker and his legislative allies gutted the state’s public financing system by raiding its funding source in order to help pay for implementation of the new Photo Voter ID law. The new “Impartial Justice” Law that provided full public financing to state supreme court candidates, who agreed to abide by spending limits of $400,000, was repealed after less than two years of its enactment. And How Can We Fix It? Editorial Page Editor Rob Mentzer of the Wausau Daily Herald will serve as Moderator. *State Senator Pam Galloway (R-Wausau) and State Representative Jerry Petrowski (R-Marathon) were both invited to participate but were unable to do so. VIDEO: 4th Street Forum: "WISCONSIN'S SUPREME COURT -- ELECT OR APPOINT?" If Wisconsin had a Civility and Compromise Hall of Fame for politicians, State Senators Tim Cullen and Dale Schultz would be the first to be inducted. It is a cliché to decry the lack of civility and compromise in state politics. Partisanship has polarized all branches of government. That’s why what Senators Tim Cullen, a Democrat from Janesville, and Dale Schultz, a Republican from Richland Center are doing to restore civility has profound potential. Cullen and Schultz have visited each others’ districts. Each listened to the concerns of the others’ constituents. They are working together finding common ground on issues that matter to people regardless of political affiliation. Their reciprocal visits have already resulted in both recognizing the importance of rail service to rural Wisconsin as a tool for economic development. More positive results will follow. Both have been around state government long enough to remember the days of bi-partisan cooperation when legislators built bonds of friendship across the aisle. Congratulations to Senators Cullen and Schultz for attempting to restore that rich Wisconsin tradition. May their efforts be an example for their colleagues to follow. Their bi-partisan cooperation is proof we have hope for better discourse in a state government troubled by discord and incivility. Thanks to two veteran legislators for restoring optimism and hope that things will be better. Roger Utnehmer is President and CEO of DoorCountyDailyNews.com, and a member of Common Cause in Wisconsin's State Governing Board. Some Wisconsin Legislators May be Attending ALEC Conference - But Who? Beginning yesterday morning and continuing throughout this week, corporate executives are sitting side-by-side with state legislators to draft "model bills" that put business interests ahead of the interests of many ordinary Americans. It's all part of ALEC's annual conference taking place in New Orleans right now (ALEC is the American Legislative Exchange Council – a somewhat secretive front group made up of state lawmakers and hundreds of the nation's wealthiest and most powerful companies). Many Wisconsin legislators have long had a close association with ALEC and a number of them may be in New Orleans now -- perhaps wining and dining and networking with executives and discussing new and existing "one-size-fits-all" legislation that did not originate in Wisconsin and may not be beneficial to many or most Wisconsinites. And many of these company executives have made campaign contributions to Wisconsin legislators to help encourage or thank them for their efforts. You can access the Common Cause press release here and on the release there is a link to the full Common Cause ALEC report released yesterday and a listing of campaign contributions to Wisconsin legislators from companies that belong to ALEC. With the entire nation watching what will happen in the eight State Senate recall elections in August, the dollars are flowing in from all over the country to flood Wisconsin (and Minnesota) airwaves in order to to try to persuade the handful of voters who have not yet picked sides in these battleground districts. At stake is what party will have partisan control of the State Senate and, perhaps, the future of the Scott Walker and Scott and Jeff Fitzgerald - Republican Agenda. Some have suggested that the Wisconsin recall elections are a national barometer for what might happen all over the nation in 2012 -- including the fate of President Barack Obama. We will know soon enough. There have never been this many recall elections held at one time in Wisconsin or anywhere in the country, so to try to compare them with other elections or to put them in some national context is difficult if not impossible. But one thing is certain -- millions of dollars will be spent in almost all of the eight elections and the $3 million record spending for a single State Senate election that was set in 2000 is likely to be broken in one or more of the August elections. One of them might be in the 10th State Senate District where current Republican State Senator Sheila Harsdorf of River Falls faces a serious challenge from Democrat Shelly Moore of Ellsworth. Harsdorf emerged as the winner in that 2000 election defeating incumbent Democratic State Senator Alice Clausing. The $3 million dollar record set in that election could be surpassed because of all of the spending for campaign ads on Minneapolis TV -- which covers the 10th Senate District of Wisconsin. To read more about the money being raised and spent in this race, go here. One State Senate recall election that will almost assuredly surpass the $3 million record figure is in the Milwaukee area where Republican State Senator Alberta Darling of River Hills tries to fend off an aggressive challenge from Democratic State Representative Sandy Pasch of Milwaukee. Darling, utilizing her position as Co-Chair of the Wisconsin Legislature's all-powerful Joint Finance Committee, has raked in hundreds of thousands of dollars. And Pasch has managed to raise enough to stay competitive. Of course the biggest spending in all of these State Senate recall elections is by outside special interest groups on both the left and the right. Estimates of between $20-30 million in total spending on the eight elections in August are not inconceivable given the enormous stakes that both Republicans and Democrats have in controlling the Wisconsin State Senate. Much or most of the outside spending from both within and outside of Wisconsin is and will be undisclosed because Wisconsin has thus far failed to pass disclosure legislation that will force the outside groups to tell voters who the donors of all the money are and where it is coming from. After the recall elections are over, and whatever the outcome, Wisconsin legislative Republicans and Democrats alike should join together and pass effective disclosure legislation -- something CC/WI has been pushing for since 1997. We are working with legislators of both political parties to get such a measure introduced. It is well past time to shed light on the big money that now controls Wisconsin elections. For more on what CC/WI and others are saying about spending in the recall elections, listen to this short segment from Milwaukee Public Radio. A half a year into 2011, the Wisconsin Legislature and Governor Scott Walker continue to lay waste to Wisconsin's once proud and nationally-recognized reputation for honest, transparent good government that worked for the interests of its citizens rather than for narrow partisan and big-moneyed special interests. The current regime in the East Wing of the Capitol and their legislative allies have launched vicious assaults on more than 30 years of bipartisan reform and in less than six months have succeeded in rolling back a number of laws and policies that made Wisconsin the "Laboratory for Reform and Democracy." Now, we are in danger of becoming more like Mississippi or Alabama -- a backwater state controlled by big money and political bosses. Since January, Wisconsin has enacted into law the most extreme, restrictive voter identification system in the entire United States. It will be harder to vote in Wisconsin than in any southern state -- bar none. And, we are now the first state in the nation to completely eliminate public financing of all state elections. Public financing is under attack all across the nation but thus far, only Wisconsin has totally eviscerated and eliminated it at the behest of powerful special interest groups who will now totally dominate our state elections and the public policy-making process that follows. 1. Today, the Wisconsin State Senate will "consider" and pass the most partisan, secretive redistricting plan in Wisconsin's history. The majority Republicans in the State Senate and Assembly concocted this monstrosity entirely in secret utilizing hundreds of thousands of dollars of scarce taxpayer money to pay partisan lawyers. It was "released" a week ago Friday and then given a single public hearing in Madison last week. There was no alternative permitted and no other process to undertake redistricting considered. The endgame is a foregone conclusion. CC/WI worked with Rep. Brett Hulsey (D-Madison) and a number of other legislators to construct an alternative, non-partisan redistricting process plan (Assembly Bill 198) that would have a neutral entity like the Legislative Reference Bureau and/or the Government Accountability Board draw the district lines without partisan political considerations but rather according to community interests. The Legislature would simply be able to vote the plan up or down. Such a process has been the law in Iowa since 1980 and has worked wonderfully. Legislative and Congressional elections are far more competitive there and the districts "make sense" and are contiguous and compact -- not full of holes or lizard-shaped. And, it costs next to nothing to accomplish in Iowa and they were done with it in April! Listen here to hear CC/WI and others talk about the redistricting process in Wisconsin and how it can and should be changed. 2. As we discussed earlier, Wisconsin has the infamous distinction of being the first state to completely destroy its once effective public financing system in the nation. Full public financing for the Wisconsin Supreme Court didn't even survive for two years. The Impartial Justice Law was enacted into law in early December of 2009 and was in effect for exactly one election -- the Prosser-Kloppenburg contest in April of this year when both candidates received public financing and took no private or special interest contributions. The other part of the law -- that would have provided both candidates additional public financing to help offset vast outside special interest group spending -- was not in effect because the State Supreme Court wrongly blocked a disclosure rule from being in effect for the election. But now, it is gone as is the remnants of the once effective state public financing law enacted in 1977. The Wisconsin State Journal had a front page headline article about it earlier this month. 3. When the Wisconsin Supreme Court ruled 4 to 3 late last month that the Legislature did not have to abide by Wisconsin's Open Meetings Law, it became clear that a constitutional amendment is needed in order to make the law applicable to the lawmakers who concocted it. CC/WI was asked to support a measure introduced by Rep. Jon Richards (D-Milwaukee) and spoke in favor of it at a Capitol Press Conference earlier this month. You can read more about the proposal and CC/WI's reaction to it here, here, here and here. 4. The American Legislative Exchange Council (ALEC) is a conservative, corporate-funded national entity that brings legislators and corporate lobbyists together to concoct "boiler plate" one-size-fits-all legislation that is introduced by the wined and dined legislators in their states, resulting in a national attack on the citizens of those states. Included in the ALEC agenda is legislative proposals to restrict the ability to vote in states (including Wisconsin), destroy public financing of state elections (including Wisconsin) so that special interest money can rule as well as the complete corporate economic and conservative social agenda body of proposals. Read this very revealing and comprehensive article about how ALEC operates in Wisconsin that was put together by the Center for Media and Democracy which includes comment from CC/WI. Should Supreme Court Justices be Appointed, not Elected? Will voters know about new ID requirements?